Streamline your digital product information strategy, connect with more end users, and generate new leads. Our dynamic CAD and BIM engine brings your product data to life. Experience 2D and 3D drawings in Interactive View. Spin, zoom or rotate the CAD model with your mouse in the live demo below. In today’s industrial marketplace, engineers and sourcing professionals rely on comprehensive, digitized product data in order to do their jobs. Thomas Navigator helps you deliver. 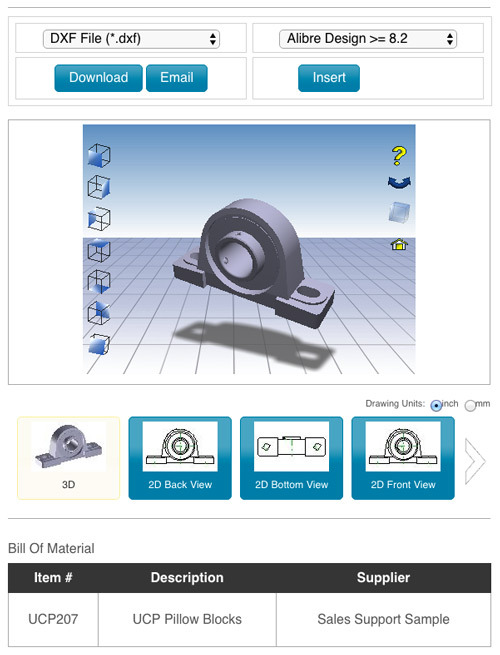 Navigator offers advanced search and configuration capabilities, helping professionals find products by keyword, individual part numbers, performance characteristics, and detailed dimensions. Most importantly, users are able to download specs, drawings and CAD models in over 25 industry standard formats, generated instantly from the most up to date data in the Navigator database. With Navigator, your company can deliver the rich, detailed product data that a new generation of engineers and sourcing professionals require, providing a best-in-class experience for your customers — on your website or on B2B eCommerce portals across the web. Thomas Navigator powers these content and data solutions, helping our clients provide their customers with the best digital experience possible. We provide manufacturers with the tools needed to expand their market reach and influence design and sourcing professionals with high quality, digitized product information. Providing a positive digital customer experience on your website and in the web destinations you participate in, generates leads, wins specs and ultimately drives revenue. Our expert team works closely with you to assess your target audiences, cleanse and consolidate your product data and help you deliver the formats and details your customers need to be productive. In the manufacturing industry, rich, accurate product information is critical to your company’s success. Thomas helps you manage and leverage this information to improve sales performance and revenues at your company. Thomas Navigator doesn’t just help you manage your product information — our platform allows product data to be delivered, in appropriate file formats, to a myriad of sales channels. 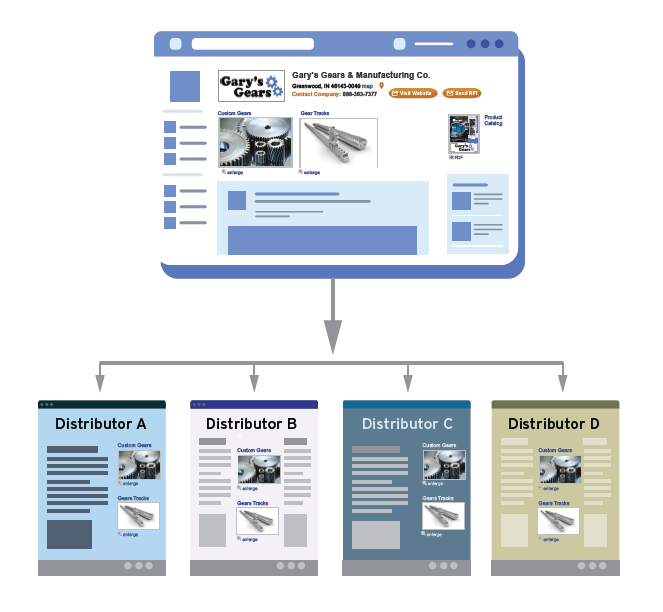 With Thomas Connect, you’ll be able to improve your search ranking on your distributors’ websites and deliver more detailed product characteristics to ensure your customers receive a top-notch digital experience, wherever they find your products. Deliver better data. Get more leads.